TechnoGas LPG cylinders at the 31st World LPG Forum round off at Houston, TX in the United States. With the unveiling, Nigeria has joined LPG cylinders for export. One thousand and five hundred participants from 72 countries and 89 companies exhibited products, with Techno Oil as the only African company exhibiting its cylinder products. 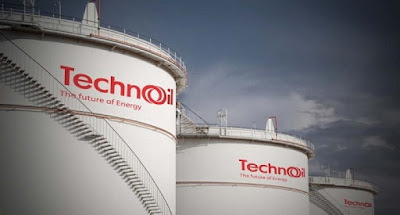 A despatch by Techno Oil to NAN on Sunday, quoted Mr. Gbite Adeniji, senior special adviser to the Minister of Petroleum Resources as expressing delight that Nigerian companies are steadily making appearances on the world stage. Adeniji said at the Techno Oil exhibition pavilion "I'm pleased to see you and I saw you." Similarly, the Managing Director of Ultimate Gas Ltd., Alhaji Auwalu Ilu, lauded the management of Techno Oil flying Nigeria's flag at the global event. He said he was impressed with the quality of the cylinders and implied Techno Oil continues to make Nigeria proud on the world stage. Executive Director, Commercial, Nigerian Products Marketing Company, Mr Billy Okoye, hailed Techno Oil's remarkable achievement in manufacturing cylinders. So Speaking, Deputy Director / Head, Downstream, Department of Petroleum Resources, Mrs. Ijeoma Onyeri, said she described the initiative made by Techno Oil in Manufacturing. She told the company to maintain the quality of its products and ensure safety in its manufacturing operations. In a speech to the cylinders, the Executive Vice-Chair of Techno Oil, Mrs. Nkechi Obi, flanked by the Managing Director of the Company, Mr. Tony Onyeama, and other senior management staff, said she was excited that Nigeria could now export cylinders. Nigeria LPG cylinders could now be exported, rather than for Nigerians to continue to import cylinders and deplete its foreign reserves. 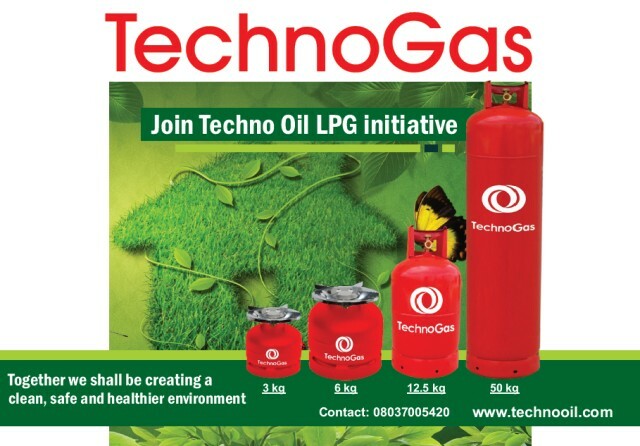 TechnoGas cylinders have hit the market and are ready to meet every demand, local and international. LPG cylinders from China, India and other Asian countries. Obi, whose company recently completed the construction of Nigeria's largest LPG cylinder manufacturing plant, said TechnoGas cylinders would help the Federal Government to save resources on importing cylinders and their accessories. "The era of Nigerians is based on sub-standard imported from India, China and other countries for Nigerian and West African households. She, however, lamented that the world was leaving Nigeria behind in LPG adoption, in Nigeria's top position in the league of gas-rich nations. Obi noted that some industrialists had taken the initiative to promote LPG adoption in Nigeria, in a bid to notify the environment and to save the future. She restated her concern on the consequences of using solid gases such as firewood and charcoal in Nigerian homes. According to the LPG adoption advocate, the World LPG Forum has again raised the stakes for the Nigerian government to make it no better time to pay serious attention to discouraging Nigerians from using solid gases in cooking. According to, while the aim of using firewood, charcoal, animal dung etc. is to get food cooked, the Nigerian woman and her household are unknowingly exposed to inhaling a myriad of harmful gases on a daily basis. "It does not end there, these gases have far-reaching effects on the environment as they contribute to global warming and climate change." The Techno Oil chief argued that global warming and climate change were responsible for global warming, flooding, food security and desertification. 70 per cent of Nigerian women spending time cooking, using mostly solid fuels, instead of adopting LPG. "More worrisome is the fact that Nigeria has one of the highest proven reserves of gas and is thus one of the highest exporters of LPG in Africa, '' the industrialist stated. LPG stakeholders to make LPG in their cooking urgently.